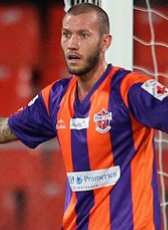 John Goossens signed a contract for two months at Indian club FC Pune City in October 2014. When the 2014 Indian Super League season ended, Goossens had the transfer free status. In September 2015 Goossens signed a one-year contract at FC Voluntari, a Romanian club that was just promoted to Liga 1, the highest level in Romania, for the first time in history. Early 2016 Goossens left the club, because he was looking for a new challenge. In February 2016 he was on trial at Chicago Fire where he scored a beautiful goal in a trial match. Goossens signed a two-year contract at the end of February 2016 at the club from the Windy City.At the end of the 2017 campaign, he was released from his contract looking for new opportunities. In March 2018 he moved to ADO Den Haag and Goossens is currently under contract until June 2019.